This is the first Big Science Business Forum. The initiative originates from the need of Big Science organisations to increase contact with suppliers and it aims at creating a one-stop-shop where companies on the Big Science market can meet the Big Science organisations and discuss opportunities and challenges in the market, be given detailed presentations on upcoming procurements and Big Science organisations can initiate contact with potential suppliers. 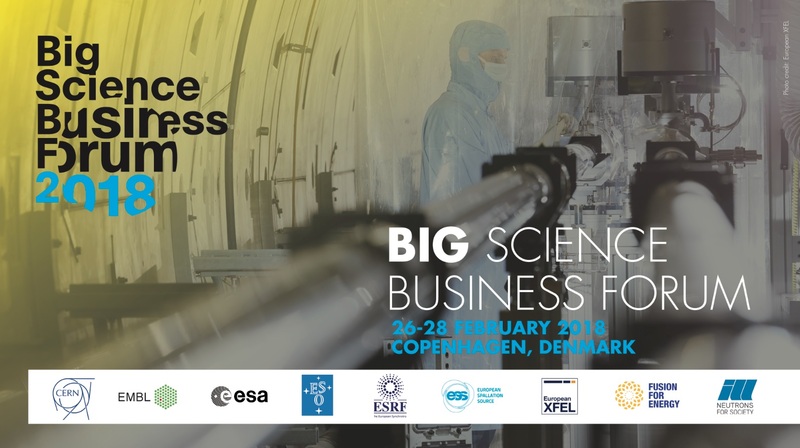 In the program’s pleanary session I, delegates have a unique opportunity to get to know the investment potential of Europe’s Big Science market when high level speakers from the nine organising Big Science organisations will present their individual organisations. See the list of prominent speakers in the conference programme. In plenary session II, delegates will get to know the best practices there is on the Big Science market when prime contractors, SMEs and Industry Liaison Officers participate in a roundtable discussion. Read more about Plenary session II: Big Science as a market.